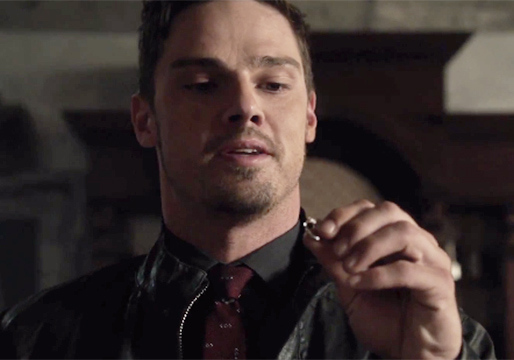 After a brief recap of where we left our favorite fearless foursome, the premiere of season 3 of Beauty and the Beast jumped right into familiar action. 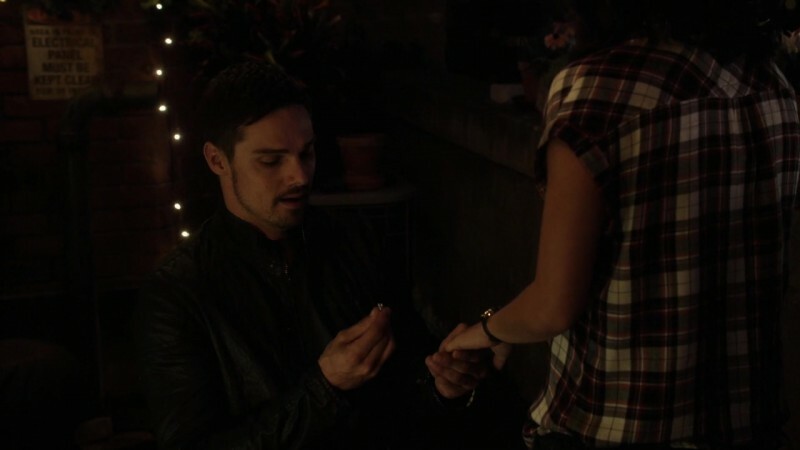 We find our beastly hero Vincent Keller (Jay Ryan) leaping across rooftops to get to the love of his very life; a hero in her own right, the beautiful Catherine Chandler (Kristin Kreuk). 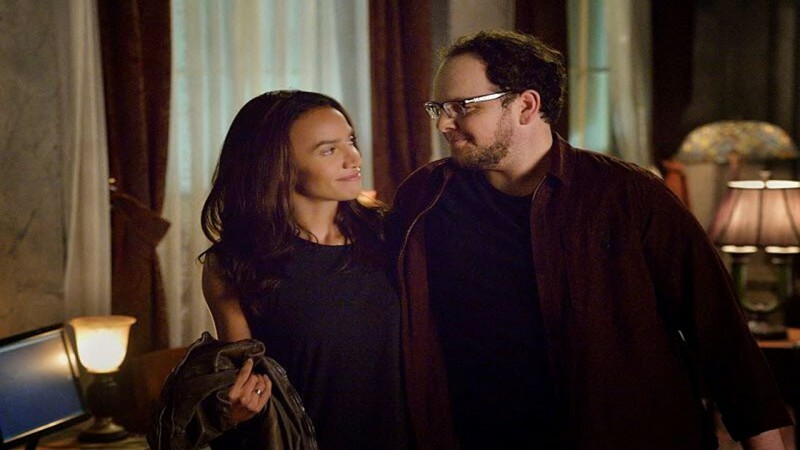 For a minute it looks like they are right back in peril, after all their triumphs over evil last season, but soon it becomes clear that things have settled down some for our favorite couple. In fact the scene is downright domestic. Vincent and Cat wake up in bed together, they have breakfast; they seem happy, playful, normal. Of course we know that their simple bliss won’t last, and even Cat predicts that another shoe will drop, but Vincent is optimistic and hopeful and determined to secure their peaceful future. In fact, we soon learn that he intends to ask Cat to marry him, as soon as he finishes his first day back to work. Vincent has been reinstated and can once again go by Dr. Keller, or McBeasty as JT (Austin Basis) calls him. Speaking of JT; he is still recovering from his near death experience and is limping through life in more ways than one. His first day back teaching does not go well and Tess (Nina Lisandrello) gives him a little tough love. She is getting impatient with his obsession with death and tells him to grow a pair and embrace being alive instead. The agents with the Department of Homeland Security who brought JT back from the brink of death continue to put pressure on Cat meanwhile, as they bring her more and more examples of regular innocent people who have suddenly developed super strength. Cat remains skeptical and in denial about any potential new threat, mainly to keep Vincent in the dark and out of harms way. When she accompanies the agents on an interview about a Wall Street investor gone crazy and aggressive, she can no longer pretend this is just New York as usual however, especially when the creature throws both agents several feet and scales up a high rise with super speed and no effort, right in front of Cat’s eyes. That other shoe just dropped. When Cat and the agents end up in the ER, Vincent soon finds out what Cat has been hiding and he is very angry. All Vincent wants is to leave his beastly past behind. He wants normal and happy and he can’t believe that Cat would consider a life of more beast hunting. Cat feels that they are part of something bigger and that they can’t just stick their heads in the sand and pretend that this threat is not out there. Someone is, once again, experimenting on innocent people and enhancing their innate qualities and turning them aggressive. Tyler Zane (Maxime Savaria), the newly created Wall Street beast, tries to finish off the severely wounded Agent Thomas (Arnold Pinnock) at the hospital and when Vincent sees what this new type of monster is capable of, his own beast side emerges and he takes chase. When Vincent, by now in full attack mode catches up with Zane and is very close to killing him, Cat is the one who, once again, brings him back from going over that edge; from human to beast of no return. This is what they both fear; this is why Vincent wants to pretend the scary real world is not of their concern, and why Cat kept her talks with the DHS agents a secret. There is a duality to Vincent and there always will be; he is not normal, he is a beast, and his human side will always battle that monster within. JT tells him as much when he finally breaks through his own malaise and gives Vincent one of his famous pep talks. Vincent does a lot of good in the world and he has to embrace his destiny. If Vincent doesn’t fight the good fight, then who will? Beauty and the Beast is like a favorite comfortable sweater. As soon as you put it on, it feels familiar and you remember why you like it in the first place. This episode was exactly what I remember the show to be; comfortable, warm, soft yet exciting to see again after having been put away for so long. I think the storylines as they have been set up have great potential for the season and I for one am happy to see these comfortably familiar faces again. What did you think, Beasties? Is this what you have been waiting for this long hiatus? Let me know your thoughts and hopes in a comment below. It was a good return to the show! Promising start. Thanks so much for reading and posting a comment. Glad you enjoyed the episode! Great review as always! I really loved the opening scene, cutting between V jumping across rooftops and C racing through traffic. As you said, it looked like they were right back in peril, but it just turned out they were both running late for a little rooftop romance! And I love that’s where he proposed to her. That rooftop really means so much to their relationship. I thought it was a great start. It feels like they’re listening to the fans and realizing it’s better if it’s V and C (and JT and T of course) against the world, instead of against each other. Thanks so much Michele! I never thought they would start the season with a proposal, but I loved it. I also like it better when they are a team.